An east side plot holder offers a tasty treat using some special spring vegetables. 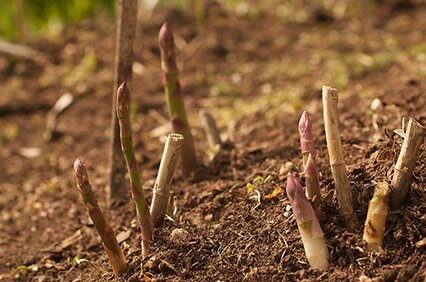 Asparagus is now grown widely at Warriston. Plant next spring if you'd like to add it to your plot. 1. Heat the grill to high. 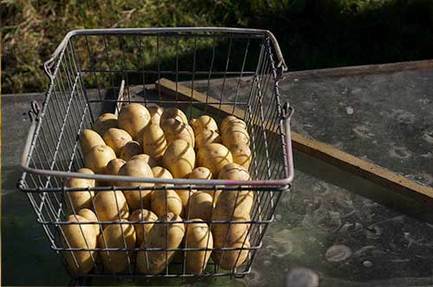 Put the potatoes in a pan of cold salted water and bring to the boil. Once boiling, cook 5 mins or until nearly tender, then add the asparagus for a final 1 min. Drain. 2. Meanwhile, heat the oil in an ovenproof frying pan and add the onion. Cook gently for about 8 mins until softened. 3. Mix the eggs with half the cheese in a jug and season well. Pour over the onion in the pan, then scatter over the asparagus and potatoes. Top with the remaining cheese and put under the grill for 5 mins or until golden and cooked through. ​4. Cut into wedges and serve.